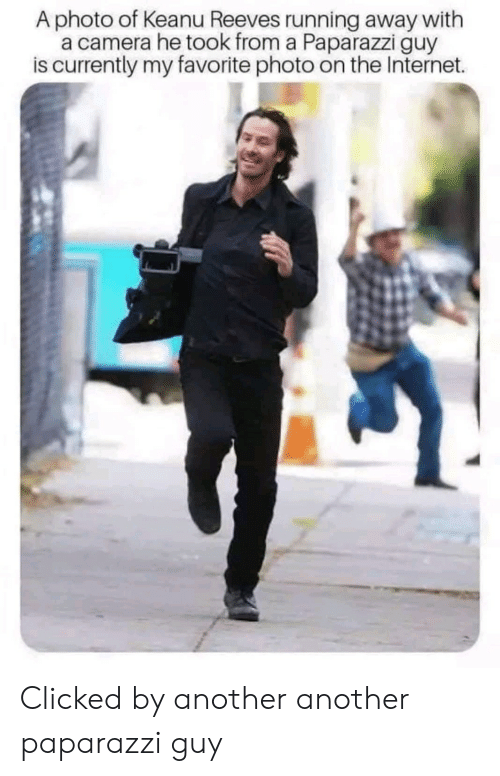 Internet, Camera, and Running: A photo of Keanu Reeves running away with a camera he took from a Paparazzi guy is currently my favorite photo on the Internet. 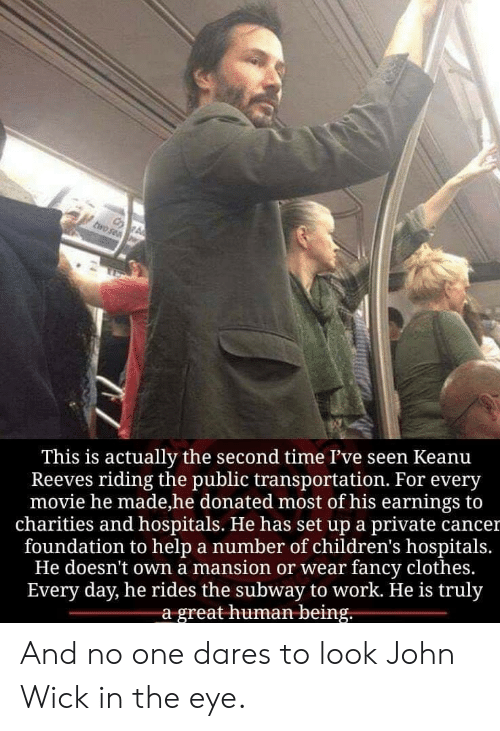 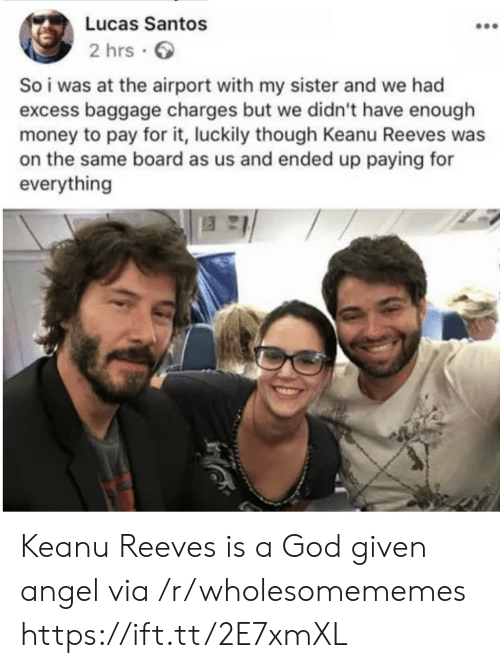 Clothes, John Wick, and Public Transportation: This is actually the second time I've seen Keanu Reeves riding the public transportation. 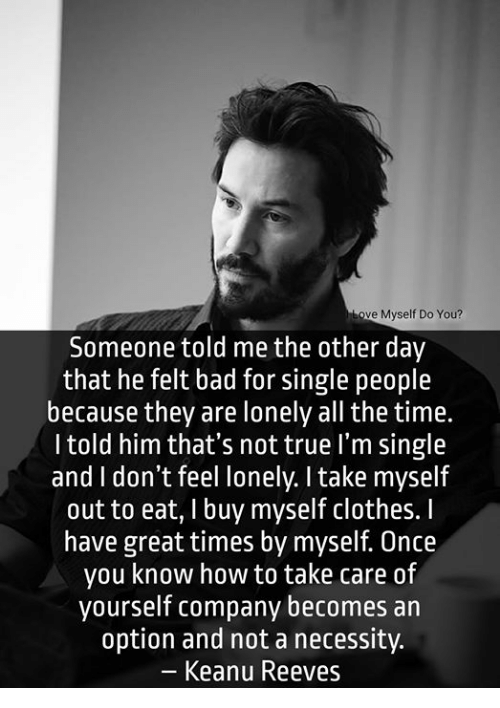 For every movie he made,he donated most of his earnings to charities and hospitals. He has set up a private cancer foundation to help a number of children's hospitals He doesn't own a mansion or wear fancy clothes. 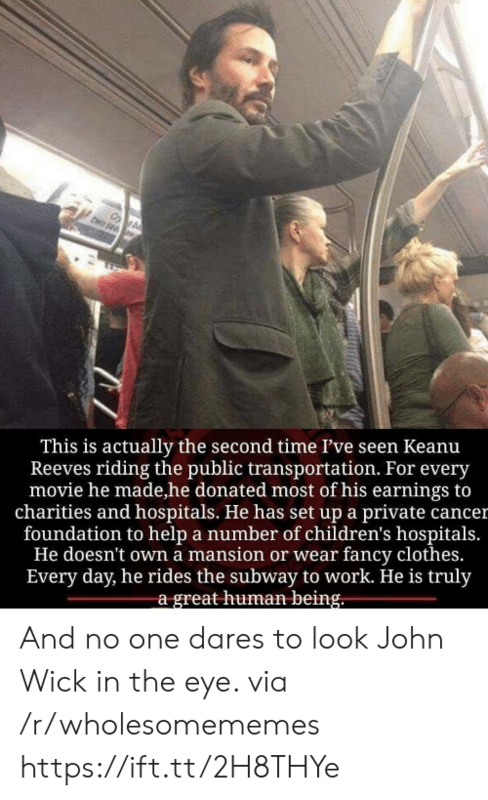 Every day, he rides the subway to work. 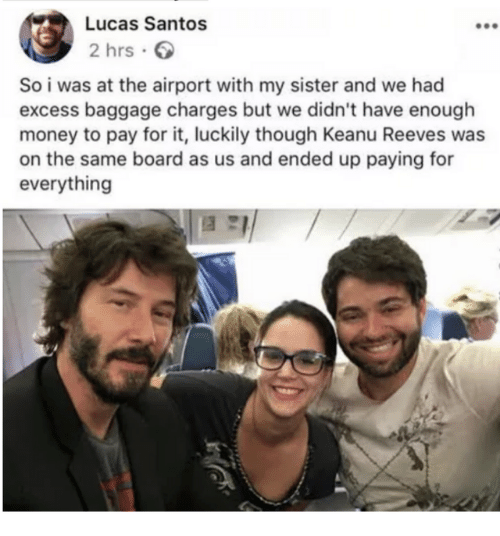 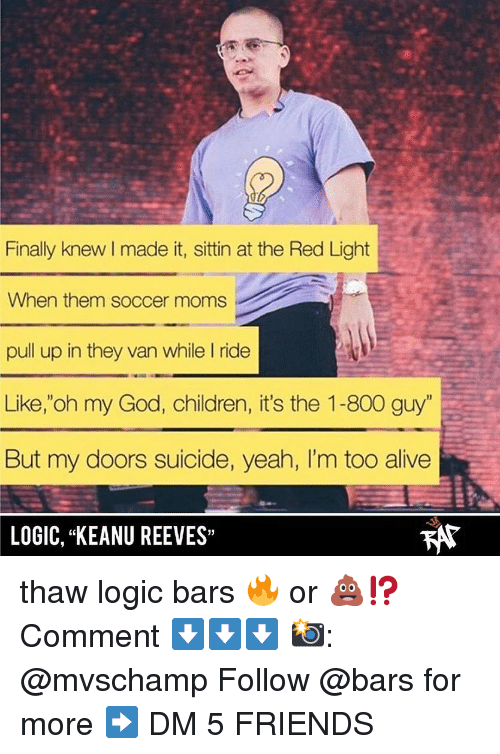 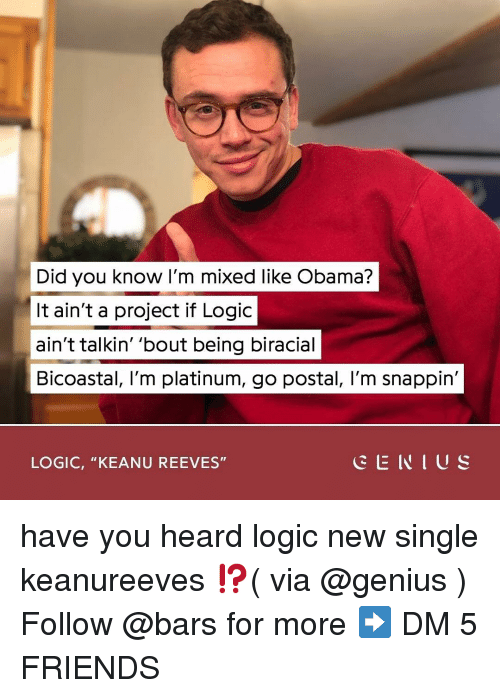 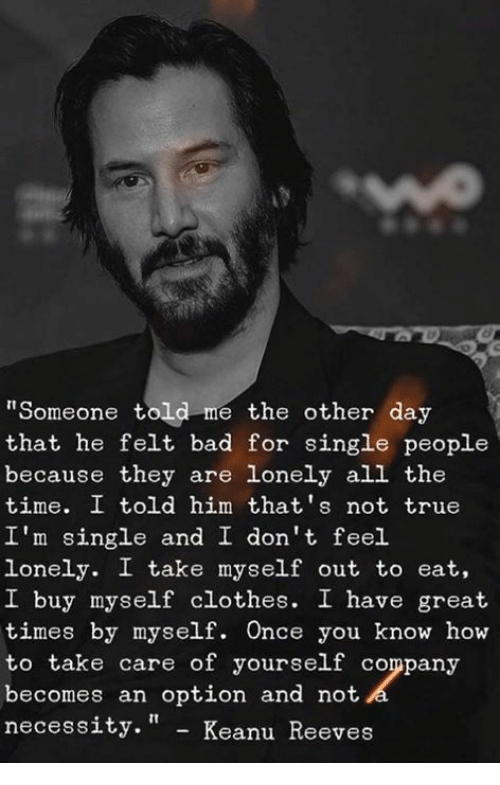 He is truly a great human being. 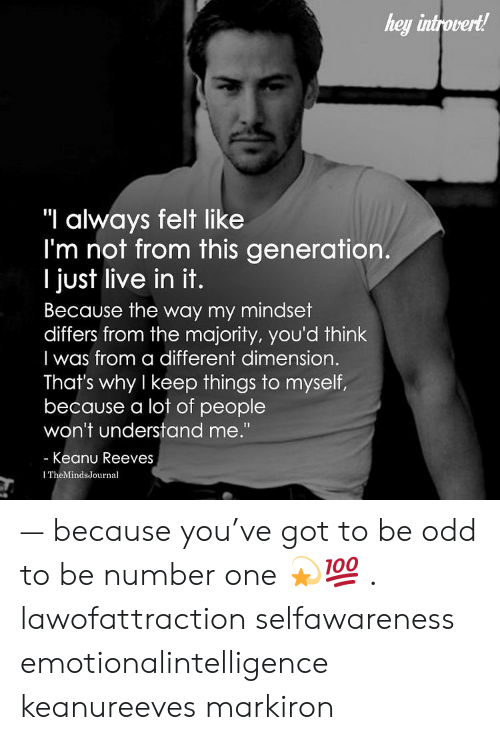 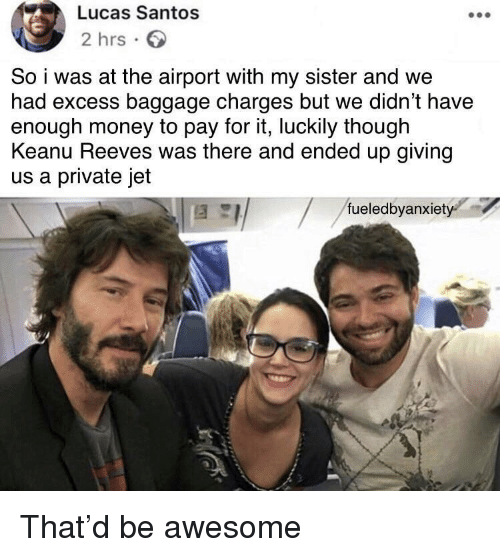 awesomacious: And no one dares to look John Wick in the eye. 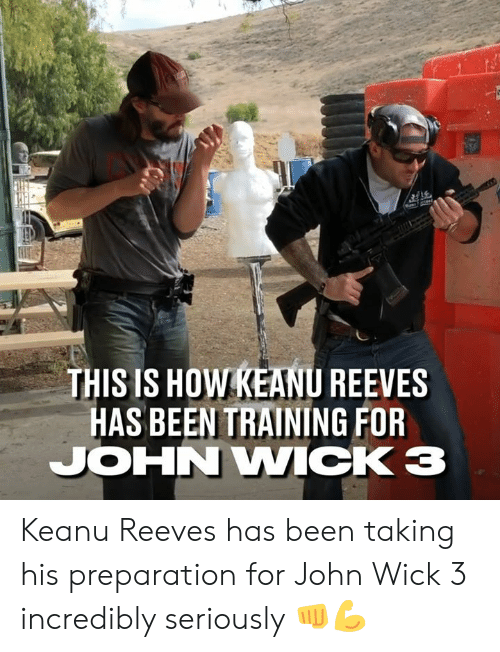 awesomacious: And no one dares to look John Wick in the eye. 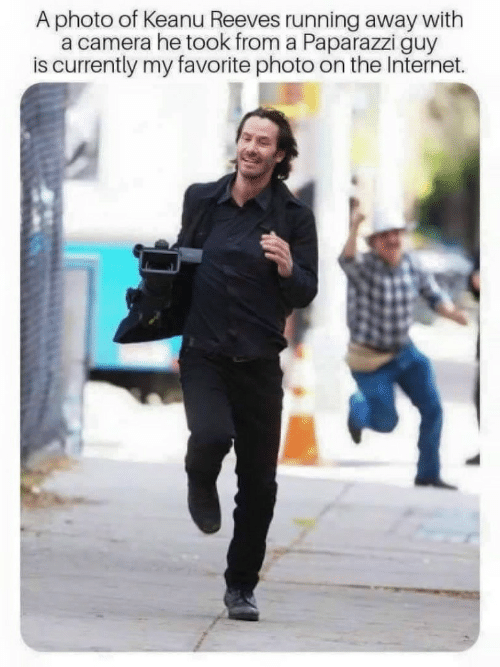 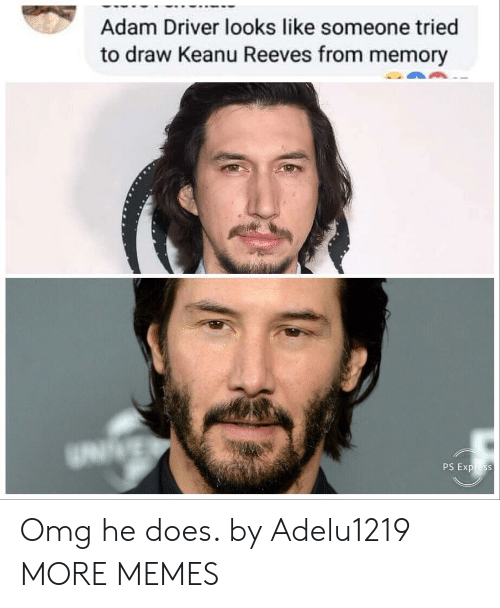 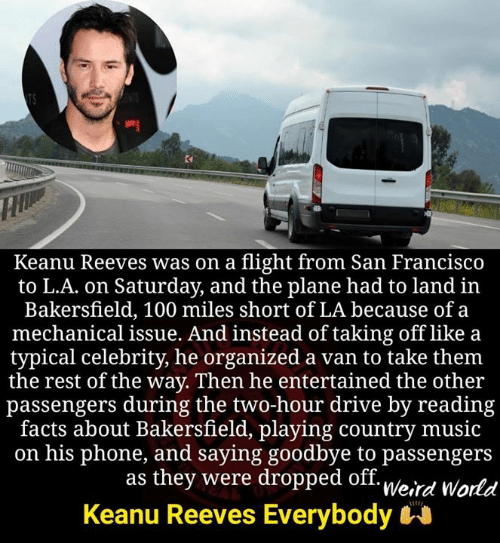 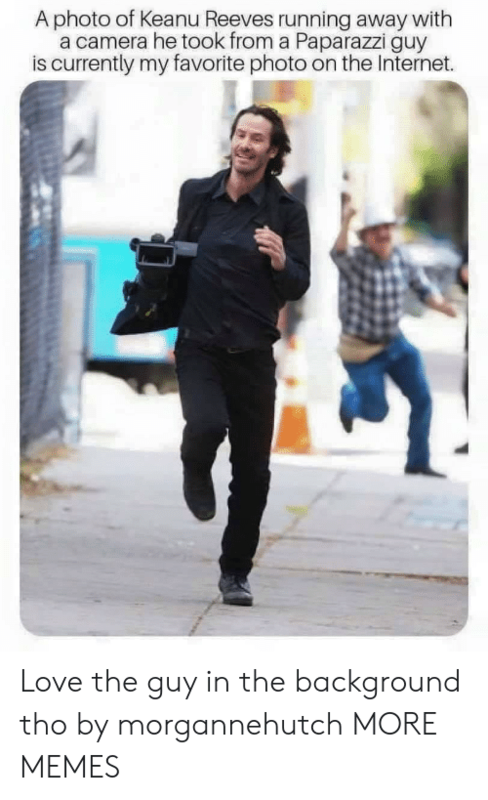 Internet, Memes, and Camera: A photo of Keanu Reeves running away with a camera he took from a Paparazzi guy is currently my favorite photo on the Internet. 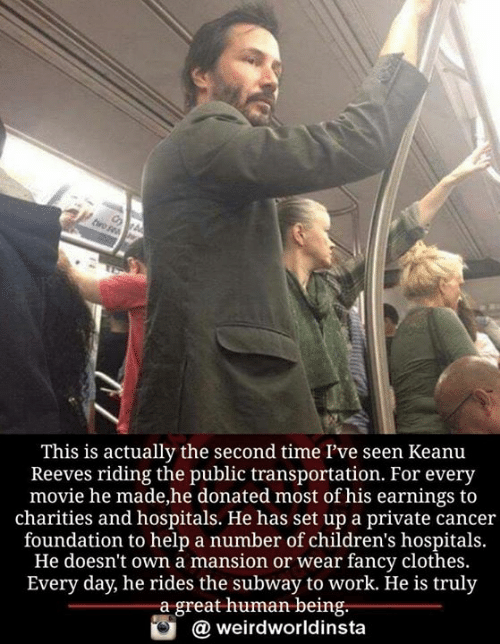 Clothes, John Wick, and Public Transportation: This is actually the second time I've seen Keanu Reeves riding the public transportation. 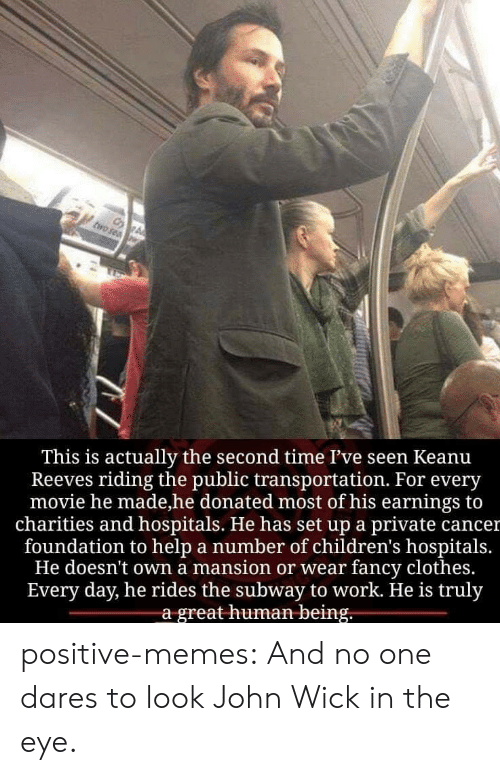 For every movie he made,he donated most of his earnings to charities and hospitals. 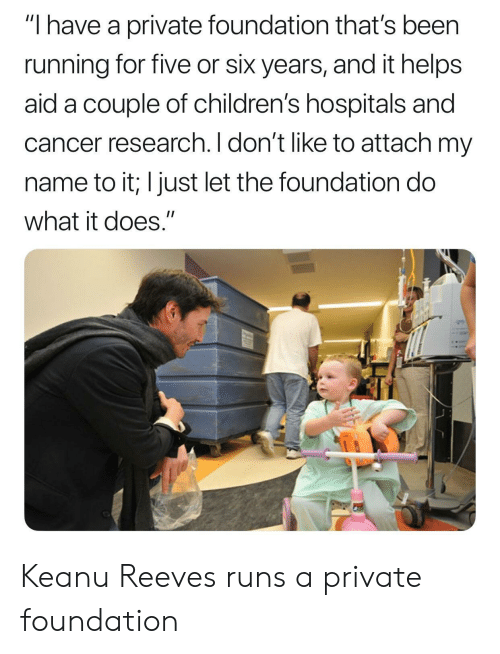 He has set up a private cancer foundation to help a number of children's hospitals He doesn't own a mansion or wear fancy clothes. 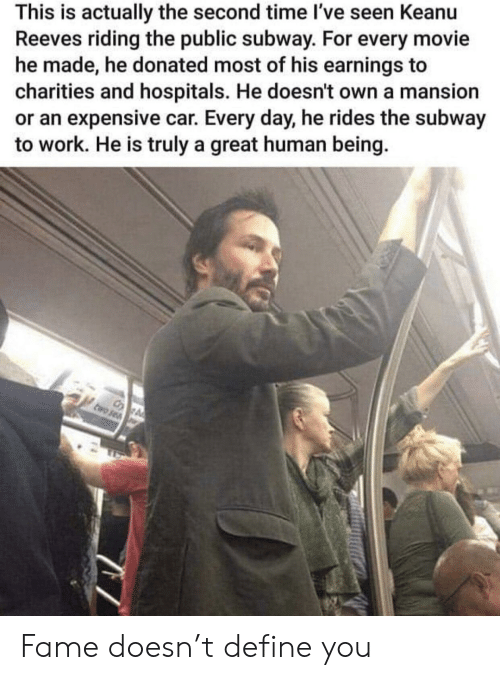 Every day, he rides the subway to work. 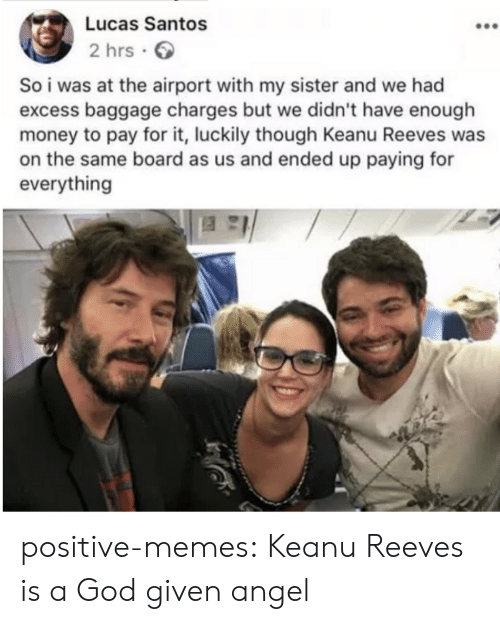 He is truly a great human being. 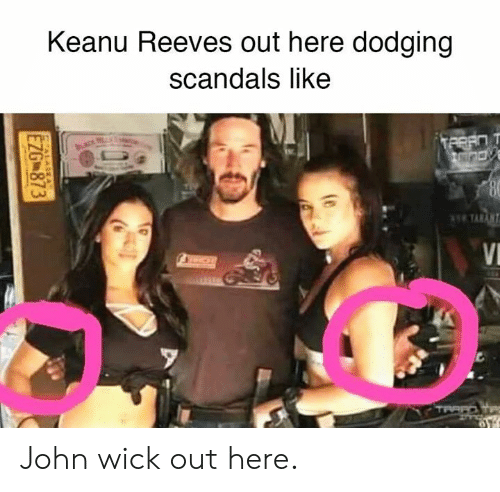 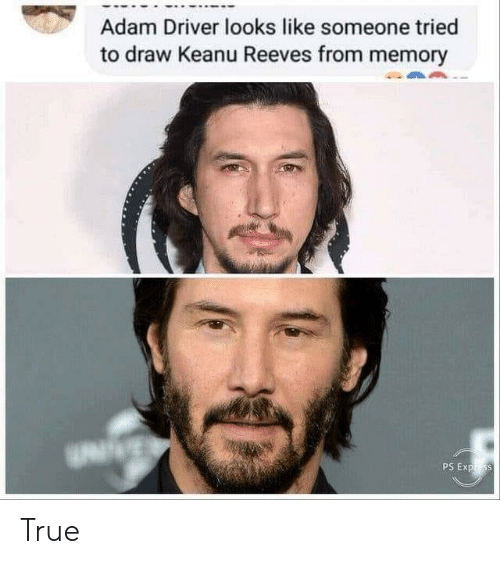 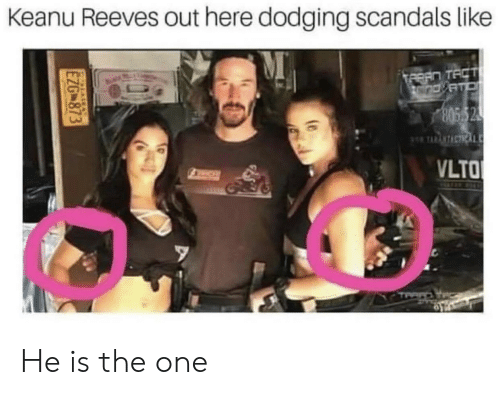 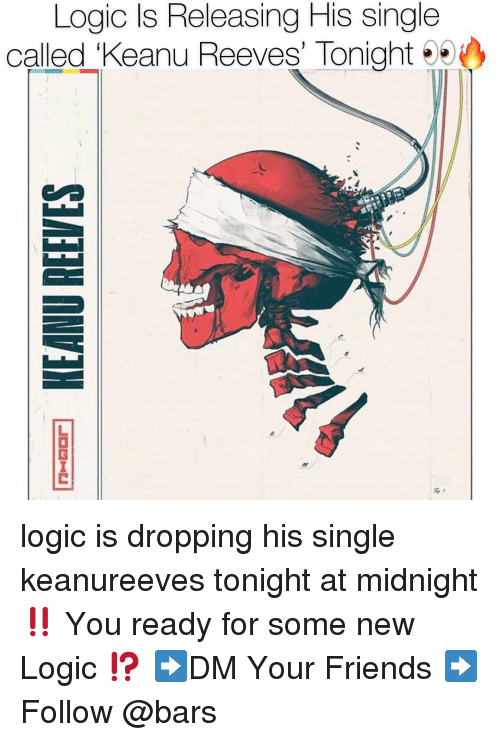 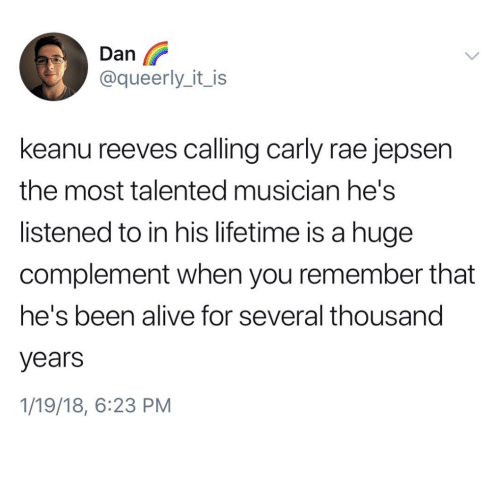 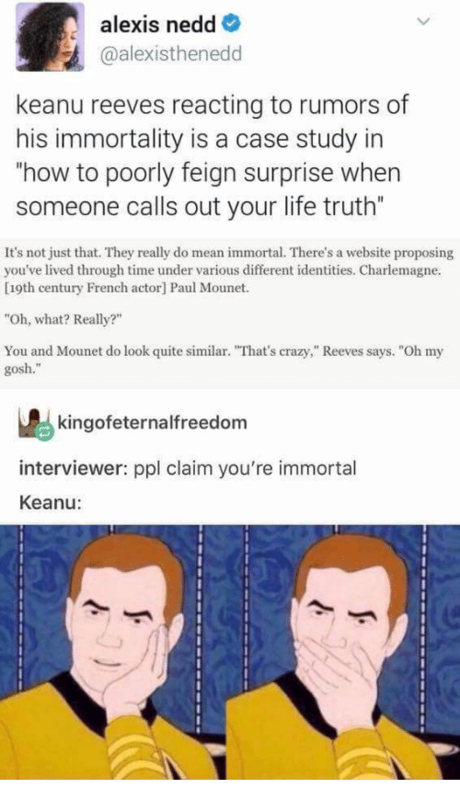 And no one dares to look John Wick in the eye. 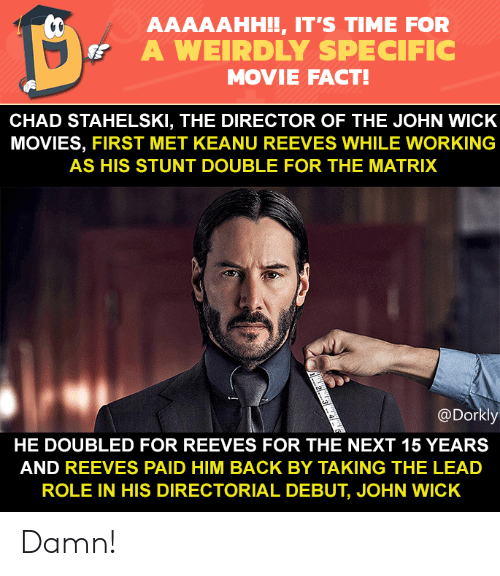 And no one dares to look John Wick in the eye. 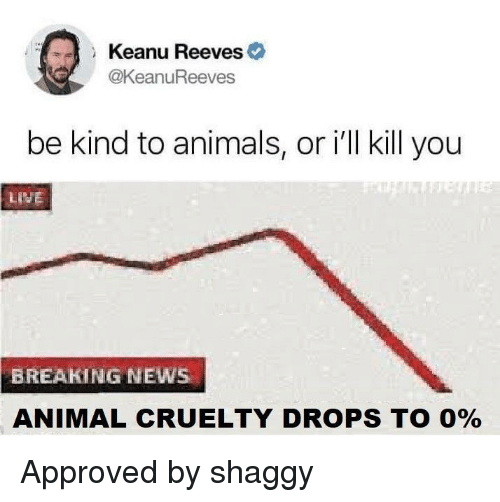 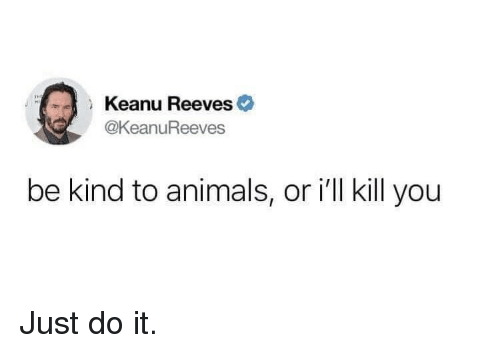 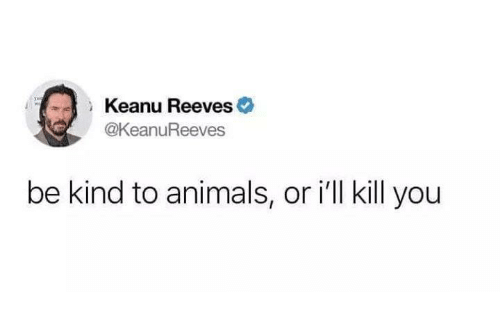 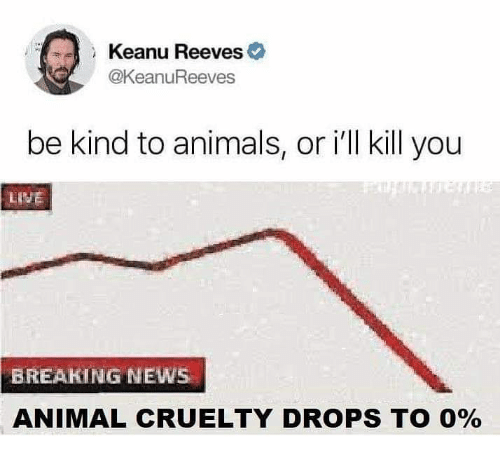 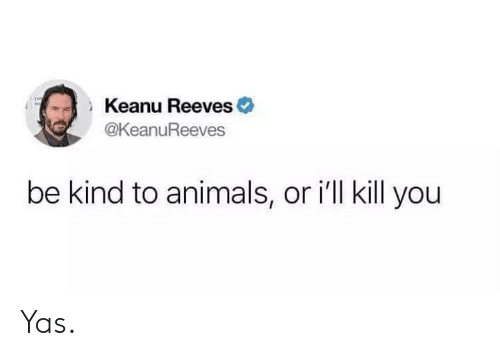 Animals, Just Do It, and Keanu Reeves: Keanu Reeves @KeanuReeves be kind to animals, or i'll kill you Just do it.